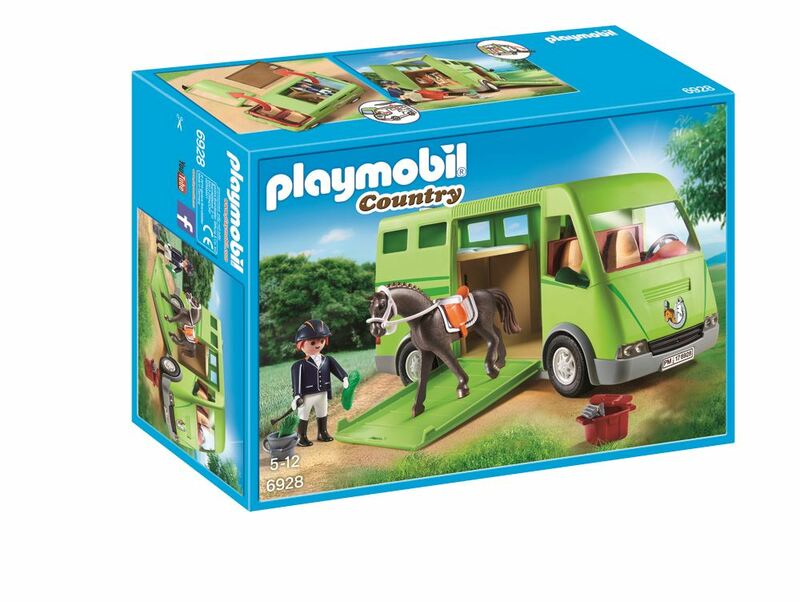 The Playmobil Horse Transporter with opening sliding door is the perfect vehicle for moving horses and ponies to stables or the next big horse show. There is space for two horses who can be loaded from the side ramp with space inside for two figures to sleep. The removable roof and windshield allows easy access to the inside of the vehicle. The rear doors open to store all the tack needed including saddle, reins and grooming kit. Includes: a figure, horse, horse transporter and accessories. Part of the Country and Pony range. Age 4+ years. Distributed in New Zealand by Holdson.